Dr. Outlaw is Professor and Extension Economist-Policy in the Department of Agricultural Economics at Texas A&M University and has been the Co-Director of the Agricultural and Food Policy Center (AFPC) since 2003. He has provided continuous service to Southern agriculture in the area of agricultural policy education and research since completing his MS degree in 1988. 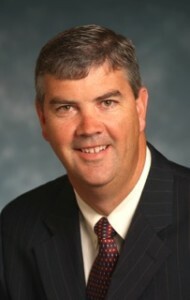 He has held numerous positions in Texas Extension after his MS, ranging from program specialist, to state crop farm management specialist, district extension specialist, developer and director of the Farm Assistance program to his current position as agricultural policy specialist and AFPC Co-Director. Dr. Outlaw’s responsibilities as the state-level Extension Economist-Policy are to provide leadership in the development and delivery of extension educational programs in agricultural policy. This entails providing the appropriate information and educational materials to all levels of extension faculty (county agents to Extension administration), clientele groups, and other interested organizations and individuals. A major emphasis of the program is working individually or as a team member to conduct applied research and disseminate educational programs to clientele. Dr. Outlaw is best known for his efforts to educate farmers, Congress, agribusinesses, and his extension colleagues on farm policy changes and how policy changes will affect U.S. agriculture. He has advised countless Members of Congress and their staff, and in so doing has left an indelible mark on U.S. policy. Dr. Outlaw’s objective analysis over the past 25 years has resulted in stronger and smarter U.S. farm policy. He is a trusted advisor, and his contributions have helped to ensure that we have sound farm policy and that our nation’s farmers are equipped to utilize those policies. Dr. Outlaw’s educational materials on agricultural policy issues (especially his farm bill materials) are shared with and widely used by other policy educators. Over time, his educational programming efforts have evolved adopting the latest technology to deliver educational information to producers. Most notable has been his efforts to use the internet to deliver decision aids to farmers and extension policy educators, YouTube videos to explain the farm bill, and Twitter to alert followers to new information he has developed. Over the past 25 years he led the Southern policy educators on numerous collaborative efforts to develop educational materials on agricultural policy issues. Dr. Outlaw has received numerous awards of excellence for his agricultural policy education efforts to help U.S. farmers with farm program sign-up decisions. Dr. Outlaw is a native of Devine, Texas and received his B.S., M.S. and PhD degrees from Texas A&M University.